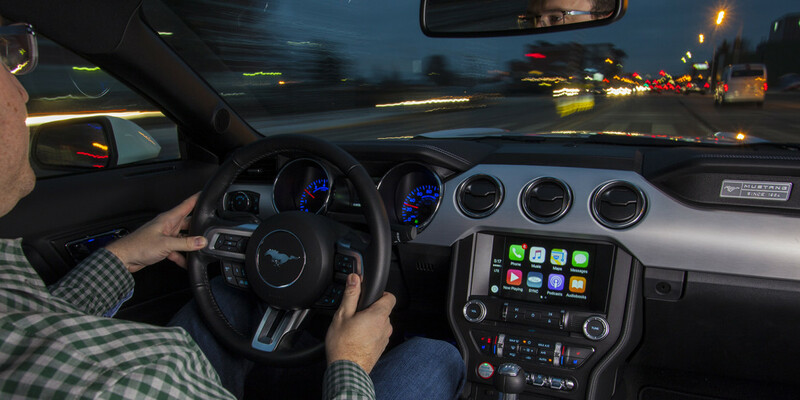 Ahead of CES 2016, Ford announced that it will integrate Apple CarPlay and Android Auto into its in-dash infotainment system, allowing drivers to pair their mobiles devices and access features like calling and music playback. The company said that all existing and future models equipped with its Sync 3 connectivity system will support Apple and Google’s platforms. It added that it will come standard on all 2017 vehicles. Sync 3 will allow drivers to use voice commands to do things like talk to Siri, ask for directions and stream music. In addition, the system will get LTE support to let owners remote start their cars, unlock doors, check fuel level or locate their parked vehicles using their phones. Ford has also added support for several apps to its AppLink platform that you can access via Sync, including AAA and CAA services, Concur for logging business trips, Eventseeker for discovering nearby performances and shows, and Cityseeker for directions to local attractions, nightlife and dining options. The company estimates that 43 million Sync 3-equipped cars will be on the road by 2020. If your Ford already runs Sync 3, the company will let you upgrade your system with support for these new features later this year.